Note: This is one of two companion articles published today on oats. An updated position statement on oats from Gluten Free Watchdog will be published in the near future. “Do oats belong in a gluten-free diet?” This was the title of the first article of mine published in the peer-reviewed scientific literature. This was way back in 1997. Oats were controversial then and they are controversial now. There have been questions about: oat safety, oat avenin; different oat cultivars; contamination with wheat, barley, and rye; and purity protocols. The two constants through all the controversy and questions are scientific inquiry and transparency. That is up until now and the arrival of mechanical and optical sorting. While General Mills and Quaker have been forthcoming in publicly sharing and answering questions about their sorting process, and sampling and testing protocols, the same level of detail has not been shared publicly by Grain Millers. This is unfortunate because Grain Millers supplies oats to many gluten-free manufacturers, including those whose products carry gluten-free seals from the Gluten Free Certification Organization and the Gluten Free Certification Program. The North American Society for the Study of Celiac Disease writes in their summary statement on oats, “Manufacturers may use different testing methods to assess the gluten-free status of raw ingredients, milled flour, and finished product. This information is not readily available. NASSCD, however, encourages the manufacturers to have consistent, stringent, transparent and reliable testing methods to ensure that the end product is gluten-free (below the FDA mandated level of 20 ppm). In the opinion of Gluten Free Watchdog, if a supplier of sorted oats cannot be publicly transparent about their process for sorting oats and their sampling and testing protocols then they are not deserving of the trust of consumers. Gluten Free Watchdog calls on Grain Millers to be publicly transparent (providing the same level of detail as provided by Quaker and General Mills) about the sampling and testing protocols used to ensure the gluten-free status of oats supplied to manufacturers. It is only through transparency that the adequacy of the processes can be assessed. To answer this question, we have to go all the way back to the 1940s and the classic feeding trials conducted by Willem-Karel Dicke. The findings from these trials form the basis of the gluten-free diet as we know it today—wheat, rye, and oats were believed to be harmful (barley was added later) and corn flour, corn starch, rice flour, peeled and boiled potatoes, and wheat starch were believed to be harmless. However, the harmful nature of oats was based on one patient having a negative response. Since this time whether oats are harmful to folks with celiac disease has remained controversial. Studies conducted to date indicate that most people with celiac disease can eat oats not contaminated with wheat, barley, and rye. There is evidence that a small minority of people with celiac disease may have an immune response to the oat protein avenin. This immune response leads to mucosal inflammation. There is also evidence that certain cultivars of oats may be more immunogenic than others. Interesting tidbit: For point of reference, when the above mentioned 1997 article on oats was published, the Gluten Intolerance Group (and all other major celiac disease organizations in the US) advised against the use of oats. It is well established that regular commodity oats are highly likely to be contaminated with wheat, barley, or rye. Issues with contamination may in fact be a confounding factor in some studies that assessed the safety of oats especially earlier studies when current testing assays to assess foods for gluten contamination were not available. 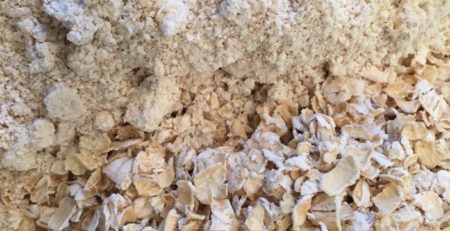 Awareness of oat contamination led to the development of the purity protocol for oats. The goal was to provide oats free of wheat, barley, and rye to gluten-free consumers. However, because of decades of questions about the safety of oats, pure oats were not necessarily an easy sell. Interesting tidbit: In 2003 a follow-up to my earlier article on oats was published. In the article I write, “Because oats are not endorsed for use in the United States, there is no market demand to identify uncontaminated oat products. This situation will undoubtedly change if pure oats are deemed safe for consumption.” Soon after publication work was started on the purity protocol. Sorted oats arrived in a big way via General Mills and gluten-free Cheerios in 2015. General Mills was very open about the fact that they were using sorted oats. The arrival of gluten-free Cheerios was the first time many in the gluten-free community heard of mechanical and optical sorting. Most folks were not aware that sorted oats already had been in the gluten-free food supply for at least a couple years via Grain Millers. Gluten Free Watchdog has written extensively about sorted oats. 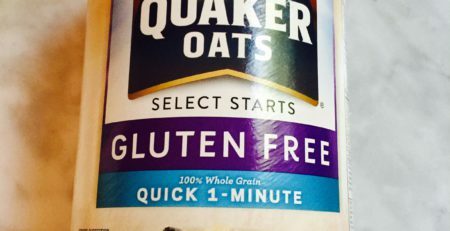 General Mills and Quaker have provided a great deal of information to Gluten Free Watchdog, including very specific information about their final product testing. Grain Millers has provided relatively little. 16 pouches or tubes are pulled during a production run (approximately 1 pouch or tube every ½ hour). If any singleextraction from any of the 16 pouches or tubes is above 12 ppm gluten the entire lot is discarded. General Mills uses traditionally grown oats that have been mechanically and optically sorted to be gluten-free. 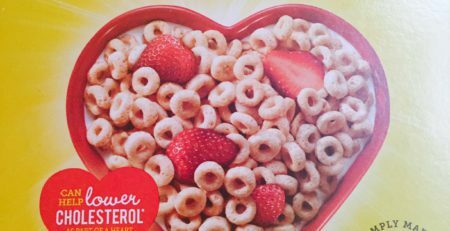 General Mills determines gluten-free status of a “lot” of oats via a lot mean. As we have discussed before, our proprietary process and overall program is significantly more complex than a simple, single ELISA test on finished product. You have referenced this below in your email as well as multiple times on your website which is simply not true. The efforts we put into our gluten free oat program include aggressive control of inbound grain quality and purity at the grain-receiving pit. It continues through our entire process of cleaning, hulling, grading, flaking, and packaging steps. We incorporate rigorous sampling and quality checks at multiple points utilizing the most up to date technology including auto-sampling, single kernel optical sorting, hand picking, as well as the ELISA test. Only that small portion of the entire millstream we extract that has been confirmed as gluten free is utilized for this piece of our business. The final finished product test you refer to is merely the last step of our process and is a verification that the previous steps are and have been under control throughout the entire milling process. The frequency, sample quantity, procedures, and test methods have all been validated and have been subjected to peer review by independent groups through the years since before we initiated production. We have collaborated with several well-recognized certifiers who have examined in detail our process, reviewed, confirmed, and validated both our data and finished product. Many of our customers (who have their brands and reputation at stake) have also reviewed and continue to recognize our efforts as the most thorough and complete program in the oat milling industry. Grain Millers is in the business of manufacturing the safest, highest quality food product in our category. This goes well beyond the gluten content of our gluten free oat products. There are several different organizations we work with to meet this objective, striving to exceed expectations and continuously improve what we do. We encourage you to openly work with and through these organizations to help set standards for ALL gluten free oat processors, whether mechanical or purity protocol to be sure we all meet the common goal of delivering a safe, wholesome product to the celiac and gluten sensitive community. Grain Millers includes the following information about gluten-free oats on their website http://www.grainmillers.com/glutenfree.aspx. For more information on sorted oats, please see the video and handout available at https://www.glutenfreewatchdog.org/news/gluten-free-oats-video-handout-fnce-digid-breakfast-2016/. A draft of this article was shared with the Gluten Intolerance Group/Gluten-Free Certification Organization and the Gluten-Free Certification Program. Both organizations were invited to submit comments for posting. A statement from GIG/GFCO is included in the comments section. We have been in communication with GFCP. When a statement is received it will be posted in the comments section. Update: GFCP posted their statement directly in the comments section. Oats continue to be a hot topic in the gluten-free community, and GFCO appreciates the GFWD for bringing the different methods of gluten-free oat processing to the forefront. As mentioned in the blog, back in 1997 virtually every association was recommending that people with celiac disease avoid oats. At this time there was no threshold for gluten, and there were no tests to determine if oats carried the same gluten proteins as wheat, barley and rye. As the science of gluten has advanced, it has now become almost universally accepted that pure oats can be a safe part of a gluten-free diet. Another area where science has advanced is in grain milling and processing. As the market for gluten-free grains has grown, processors have developed new sorting methods, largely mechanical, to provide gluten-free grains for consumers. With the growth of the gluten-free market, these advances have been necessary to meet consumer demand. While some consumers may be skeptical of new methods of gluten-free food production, it is GFCO’s responsibility to evaluate the methods and procedures used by specific processors and determine if they can produce a safe product with less than 10 ppm of gluten. GFCO will never universally endorse or dismiss any manufacturing process. Instead, GFCO will verify that each certified manufacturer is using appropriate manufacturing procedures, and that their finished product consistently meets our 10 ppm threshold. Based on studies we have performed, this can be done using either a purity protocol or sorting, with the important criteria being the specific manufacturer, not the processing method used. As the gluten-free market continues to grow, GFCO hopes that manufacturers continue to find new ways to bring new, affordable products to consumers. As these methods are developed, GFCO will continue to be the front line for determining if manufacturers are applying new technologies appropriately to ensure consumer safety. Thanks for raising the very important issue of the safety of gluten-free oats and the transparency of messaging to consumers. First let me say that the GFCP encourages our manufactures and all brand owners to be transparent about their processes and requirements when consumers contact them. Naturally, there are limits as to what they can say that is understood by consumers. This becomes problematic when technical details are shared and then there may be those that are proprietary to the company. The GFCP’s role overcomes these barriers whereby it has the mandate to request information needed to prove conformance with its requirements and then conduct an independent and expert assessment of this wide variety and often very technical information including that which may be considered too proprietary for dissemination to the general public. This is critical so that the GFCP can successfully and appropriately act on the side of consumers and meet the expectations of the Canadian Celiac Association and Beyond Celiac (formerly the NFCA) which endorse it and allow their trademarks on products coming from these certified facilities. Through this process, the facilities themselves benefit by getting the facts from another competent source so that they can identify and correct any issues that might be found in order to improve and thereby strengthen their gluten-free management systems to provide an optimum level of protection to consumers. You can be assured that Allergen Control Group (ACG) very much understands the sensitivity and concern around gluten-free oats which is certainly warranted. That is why the GFCP works diligently on this issue as a top ongoing priority with those facilities under its mandate. The GFCP also looks to provide improvements to the understanding of gluten-free grain and oat production. As example, we worked very closely with CCA to seek and eventually were successful in accessing government funding to find solutions. This required a shared cash investment by CCA and ACG into a project to build protocols which consider best practices as guidance for producers and millers of gluten-free grains and especially oats as a high risk to contamination by gluten. This collaboration with industry and government experts will result in a formal public document providing specific guidance to ensure that grains (e.g. pulses, lentils, flax, oats etc.) can be scientifically and objectively verified to be suitable to enter into a gluten-free management system and consistently deliver the food safety outcome of < 20 ppm for gluten. After a rigorous development process, this guidance will be available in early 2018. The outcome of this project will fill a key gap in current production for the gluten-free market. Facilities seeking GFCP certification, and even companies making a gluten-free claim, will have free access to a gold standard of gluten-free grains safety verification. In the interim, the ACG, whose food safety expertise spans decades, will provide an in-depth, case-by-case risk assessment of facilities using gluten-free oat ingredients prior to moving these brands through to the audit process. You should be aware that these audits are conducted by auditors who are specially trained and approved by the GFCP as food safety professionals meeting the highest educational and experience standards. We can never accept supplier claims or self-declarations without proof of the adequacy of gluten-free verification processes, but instead engage in our own, independent analysis and assessment of the risk to consumers with celiac disease and gluten sensitivity. Thank you, Tricia for your continued efforts and support to consumers seeking a gluten-free diet. Please, keep up the good work!! Gluten-free oat production: Purity protocol versus mechanical or optical sorting: Does it matter to you?